Ear mites in dogs (scientifically known as Otodectes cynotis) is one of the most common and mild parasitic infections. However, complications can arise if the dog has immune hypersensitivity reactions. It results in severe irritation in the external ears. A dog affected with ear mite ends up scratching the ears so much that the blood vessels break. The dog might even do go to an extreme of damaging his or her ear drums or ear canals. However, some natural treatments can be done. 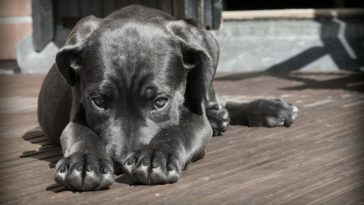 The 10 home remedies for ear mites in dogs listed in this article can eliminate those bugs and help relax a dog. But before that, know a few things. Ear mites are tiny, brown-colored creatures that appear more like spiders. They easily attack young pets. They have 8 legs and survive under or on the animal’s skin surface. Dark brown, waxy debris in the ears. What Type Of Ear Mite Infects Dogs? Otodectes: This mite infects dogs, ferrets, and foxes. Demodex: This mite also infects dogs. It caused skin infections around the ears and head but luckily, it doesn’t affect the ear canals. Notoedres: This mite infects cats. How Natural Remedies For Ear Mites In Dogs Help ? Dog is one of the most common choices to have as a pet. This pet might feel ill and sick, due to ear mites and other related issues. Although over the counter medications are readily available to help your pet, home remedies should be used at the minor stages so that the ear mites will run away and it will be less stressful for the dogs. Imagine if you didn’t clean the ear mites at the initial stage, it causes the problem like swelling and redness in the ear etc. Now the dog will face other issues too. 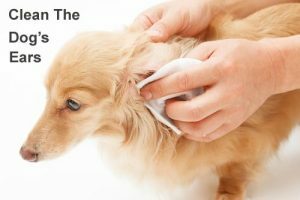 In this article we talk about the 10 best home remedies that might help in dogs ear mite treatment. Note: Ear mites in dogs can be a serious condition. If your dog has already reached the stage where his ears have become swollen, red, or there is blood, don’t waste time in applying remedies. Take your pet to a vet for proper treatment. However, if the infestation has just begun, apple these home remedies. A mite leaves behind a waxy, brown substance inside the dog’s ear. It leaves a bad odor too. So, it is vital to clean the ears prior apply the treatments. Take a wet, clean cloth (you can even use hydrogen peroxide) and clear the waxy substance from the ears. Once the debris from the mites has been cleaned, they will have no place to hide. Take a cotton and dip it in mineral oil to wipe the ear flaps properly. Give both the ears a nice massage to make sure that the mineral oil has been properly distributed. Even after you apply the natural remedies, continue to do this mineral oil tip twice a week at least for one month. This is sufficient to kill the existing mites and prevent them from developing further. Use only mineral oil for cleaning because it works effectively on ear mites. Also we need to be more careful on dog foods for allergies for ear mites issue. Note: While cleaning the ear, don’t use any tools. Be gentle and stay to cleaning only on the outside of the ear canal. Mineral Oil: It is mild, petroleum-derived oil, which is used for killing unwanted insects. It is colorless and odorless in nature. The chemical compounds in them include cycloalkanes and alkanes. Once applied on the dog’s ears, mineral oil works in two ways. Firstly, it assists in dissolving all the earwax and debris that has been accumulated. Secondly, it chokes and then kills all the ear mites. Almond Oil: This essential oil is enriched vitamin E and other fatty acids, which helps in faster healing. It soothes the irritated, swollen, and red skin in the ears. Almond oil is great for sensitive skin. Corn Oil: One of the best home remedies for ear mites in dogs is none other than corn oil. It is enriched with polyunsaturated fatty acids. Not only is the oil inexpensive but also been proven highly effective against mites in pets. It works as an emollient. However, the main compounds in corn oil that help in healing the ears are vitamin E and linoleic acid. Once applied to the dog’s ears, it helps in drowning all the ear mites when it shakes the head. Besides this, it helps in healing the inflamed skin. Your dog is ingesting the oils. It can be toxic. Other than this, there are no known adverse effects of using these oils on the dog’s skin. However, if your dog is allergic to any of these oils, talk to your vet before applying. If the above oil treatment fails, switch to yellow dock root. Buy the extracts of yellow dock roots from any herbal store. Take 8 to 9 drops of this extract and dilute it in 1 tablespoon of lukewarm water. Mix them properly and fill it in a dropper. Pour half of the mixture into each ear. Make sure to massage the dog’s ear gently after this to help shake the ear mites out. 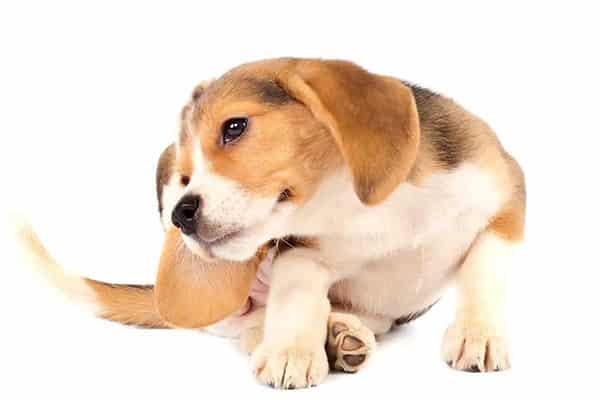 Repeat the remedy on alternate days for 4 – 6 weeks to get rid of ear mites in dogs. Yellow Dock Roots: This herb is a perennial, which grows to a height of 5 feet. Their leaves are 12 inches in length & 4 inches in width. Yellow dock is widely seen in North America. They bloom between the months May and August. Yellow dock has been used since ancient times to treat various skin problems. It helps in cleansing the blood, stimulating bile production, and treating ear mite infections in dogs. It is a natural itch reliever. It works the best on ear mites due to the presence of anthraquinones. Your dog is suffering from intestinal bleeding problems because once the solution passes from the ears, it will land up in the stomach via throat. It might interrupt the dog’s intestine and make the bleeding worse. Your dog is suffering from diarrhea, vomiting, and cramping. So, consult your vet before use. Though in its diluted form, applying tea tree oil is safe on dog’s skin, some dog breeds might have an allergic reaction. So consult your vet before applying. Take 3 to 5 drops of tea tree essential oil. Dilute it in 1 tablespoon of water or with a carrier oil (olive oil or any vitamin-E rich oil). Apply it on the ears and massage so that the dog has an urge to shake off his head. Repeat the remedy on alternate days for 3 to 4 weeks to treat ear mite infestation in dogs. Tea Tree Oil: Botanically known as Melaleuca alternifolia, tea tree is a plant that is extensively found in Australia. The essential oil extracted from this herbal plant is reported to treat a plenty of skin problems both in animals as well as in humans. Tea Tree Oil is one of the best ways to repel pet mites. It soothes the inflammation and irritated skin. This is due to the presence of two active compounds named terpinen in them. A tea tree oil bottle of good quality will have high amounts of terpinen-4-ol components in them (has antimicrobial properties) and low on cineole content (high cineole might cause skin irritation). You are not diluting the tea tree oil before administering on the dog’s ears. You are using the tea tree oil in excess. The terpenes in them can turn toxic for the dog. Your dog ingests it orally. It could be dangerous. Take 1 tablespoon of white vinegar and dilute it in 2 tablespoons of warm water. Mix them properly in a bowl. Use a dropper and pour a few drops of the solution into each ear. Finish the procedure by gently massaging the ears with the prepared solution. Use a cotton ball for this. 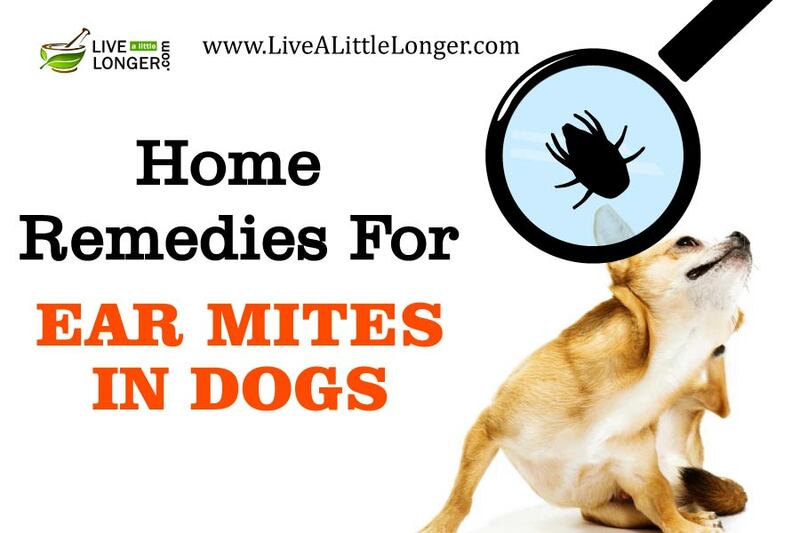 Repeat the remedy once in a day for at least a week to treat the ear mites in dogs naturally. White Vinegar: White vinegar is highly helpful in alleviating the problem in early infestation stages. 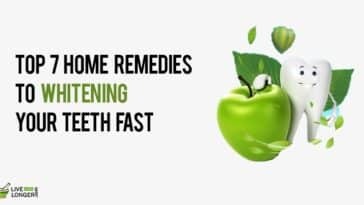 It soothes the infected region while the acidic levels (acetic acid) in white vinegar eliminate debris and dirt, revitalizing a healthy balance inside the ears. Your dog already has developed sores in the ears. Your dog has bleeding ears. Your dog has intense irritation. Applying vinegar solution in extreme ear-mite-infestation cases can give a stinging contact and causes pain in the dog’s ears. Instead, take your pet to a vet immediately. Dilute the natural neem oil in 1:10 ratio with a mild carrier oil like grapeseed or almond oil. Mix the essential oils in a bowl. Warm it gently. Use an ear dropper to pour a few drops of the mixture into each ear canal. Take a cotton and dip it in the mixture. Apply on the external ears. Complete the procedure by giving a gentle massage so that the dog shakes the head. Repeat the remedy every day before bedtime for a week. Then wash off in the morning. Neem Oil: This evergreen herb has been used since historic times to treat various skin problems. However, the reason it works effectively in ear mites is due to its anti-parasitic properties. Its active biochemical compounds are known to exhibit antifungal, antibacterial, antipyretic and anti-inflammatory properties. The primary compound that helps in treating ear mites in dogs is azadirachtin. It exhibits insecticidal properties and has been used in organic pesticides as well. Other organic compounds in neem include nimbolide, Nimbin, salannin, limonoids, and meliantriol. Grapeseed Oil: This oil is well admired for its mildness and rich flavor. It is polyunsaturated and contains some beneficial compounds like linoleic acid, which helps in soothing the inflamed and irritated skin region. Thus, when combined with neem oil, it turns very effective. You are not diluting the neem oil with a carrier oil. You are continuing the remedy for more than 20 days. Neem oil is easily absorbed by the tissues and can turn toxic for a dog. Your dog has a severe mite infestation. It is better to meet a vet. Take a ½ ounce of each of these natural oils: mullein oil & garlic oil. Mix them properly in a bowl with olive oil (10 ml). Warm them slightly (enough for the dog to handle). Use a dropper to fill the mixture. Pour some drops of it to the ear canals. Massage some of this mixture on the external skin. Repeat the remedy on alternate days for 2 weeks for best results. Mullein Oil: Very few know that mullein exhibits strong antibacterial and anti-parasitic properties; thus, helping dogs in treating ear mites and other mild ear infections. Mullein flowers are one of the best ways to treat ear mites naturally. The main compounds in mullein that help in eliminating ear mites and assist in the process are rotenone (prominent insecticide), coumarin (relieves swelling and pain), and verbascoside (kills all the bacteria). Garlic Oil: Garlic is a well known, natural antibiotic. Garlic oil keeps the ears clean, treats fluid in inner ears, swelling, inflammation, and destroys ear mites. The primary antibiotic compound in garlic that works amazingly in treating an ear-mite infestation is a sulfuric compound called allicin. Olive Oil: It is one of the natural oils for killing ear mites in dogs. The two active compounds that help in the process are oleocanthal and squalene, which exhibit antioxidant and anti-inflammatory properties. The compound oleocanthal inhibits the formation of Cyclooxygenase (an enzyme that causes inflammation). It soothes the inflamed and irritated dog’s ears. Your dog is consuming it. It can be toxic. Your dog has serious skin allergies. The mite infestation has become severe, and there is blood in the ear. Take 2 teaspoons of organic honey. Dilute the honey in 2 ounces of water. Use a dropper and pour some drops of the honey mixture into the ear canals. Repeat the remedy every day for a week or two for best results. Honey: Organic honey helps to treat ear mites in dogs naturally. It exhibits antiseptic and antibacterial properties. This is due to the presence of hydrogen peroxide, dicarbonyl, and phenolic compounds in them. You are using processed honey. It can be dangerous. Use only 100% organic honey. Take a ½ ounce of pure olive oil, 1 capsule of vitamin-E, 1 teaspoon of fresh peppermint, and 1 teaspoon of fresh oregano. Allow the mixture to soak for at least 2 days. After two days, stain the mixture and store it in a clean glass jar. Use a dropper and fill it half. Pour into the ear two times a day. Use some of the mixture to massage the earlobe gently. Insert cotton balls to prevent the oil from flowing out. Repeat the remedy at least for 10 days for best results. Olive Oil: Natural olive oil does not kill the ear mites in dogs directly but smothers them. An added benefits of using olive as a remedy is that, once applied, the ear mites start to hide outside the dog’s ear canals. Once they sense olive oil, they begin to move out. The active compound oleocanthal in them helps soothe the skin irritation. Vitamin E: It is an essential fat-soluble nutrient, which not only helps in keeping the dog’s coat and skin healthy but also promotes faster healing. Vitamin E refers to a group of compounds called tocotrienols and tocopherols. It exhibits anti-inflammatory and anti-itch properties. Vitamin E naturally occurs in four forms, out of which two forms are γ-tocopherol and α-tocopherol. The γ-tocopherol is commonly seen in corn oil & soybean oil whereas the α-tocopherol is present in olive oil & sunflower oil. Peppermint: Fresh peppermint leaves have a good amount of menthol in them, which exhibit antiparasitic, anti-inflammatory, analgesic, and antiseptic properties largely. It helps in repelling the insects and soothes the irritated as well as inflamed skin. However, do not use the essential oil it’s in the purest form. You need dilute with some other carrier oil. Oregano: Oregano is one of the best alternatives to using drugs. It contains powerful phenols to destroy the microorganisms and bacteria. 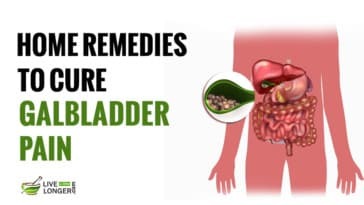 It has been proven highly effective against parasites and viruses. Your dog ingests and of these ingredients. It can be toxic. Your dog has reached the stage, where the ear mite infestation is advanced. Do not apply the remedy. Instead, consult your vet. You are increasing the dose or quantity of any of these ingredients. Take 1 tablespoon of castor oil. Dilute the oil in 1 tablespoon of water. Add a few drops of honey for effective results. Use a dropper to pour into the dog’s ear canals. Do this before bedtime. Apply a little of the oil solution on the external ear lobes and massage it. Repeat the remedy on alternate days for a week or two to get rid of ear mites. Castor Oil: This essential oil helps in smothering the ear mites and loosening the wax. It works as a disinfectant on scrapes and cuts. It contains undecylenic acid to soothe the skin irritation and swelling while the ricinoleic acid protects the skin from bacteria and viruses. Also, the triglycerides in castor fight skin infections. Honey: Unfiltered and raw honey works the best and not the processed ones. It has antibacterial, antifungal, antiparasitic, and antiseptic properties. The natural hydrogen peroxide in organic honey help clear the mites and wax out of the ears. Besides this, it reduces pain, swelling, and itchiness. You are not diluting the oil. Your dog ingests some of it. You are using processed honey. Take a few drops of extra virgin coconut oil. Diluting it with warm water is optional because this oil is already mild. You can even mix it with few drops of olive oil for an effective result. Use a dropper and pour a few drops coconut oil into each ear canal. Apply some amount of it on the ear lobes and massage gently. A few ear mites will fall out when the dog shakes the head. Repeat the remedy once a day for at least 15 days to get rid of ear mites completely. Coconut Oil: This natural oil is well known for its anti-fungal, antibacterial, and antiviral properties. It soothes the itchy and swollen ears naturally. It also helps in healing the wounds faster. It is enriched with fatty acids; however, the main compound that works on ear mites is lauric acid. The infestation has advanced, and there is blood in the ears. Consult a vet. You are using the impure version. Go for unrefined and extra virgin coconut oil. The inner parts of the dog’s ears are comprised of delicate and sensitive tissues. Hence, the proportion of various ingredients of a home remedy has to be calculated carefully. Never clean the inner and deeper ear parts with Q-Tips and cotton swabs. It can cause great harm to the eardrums. If you are using oil in the remedy, make sure to warm it lightly before applying. Severe infestation of mites should be brought to a veterinarian’s observation immediately. Besides applying the remedies to treat ear mites in dogs, pay attention to your dog’s diet as well. A healthy dog tends to keep away from ear mites and other parasitic infections. A healthy diet is a key to keeping off mites infestation. 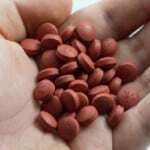 Next article How Long Does It Take For Ibuprofen To Work?